As I write this on a lovely, sunny November day, it seems like a perfect time to go for a hike in the woods. Feel like setting out for Letchworth State Park, one of my all-time favorite parks in the region. But a friend has warned me not to go. 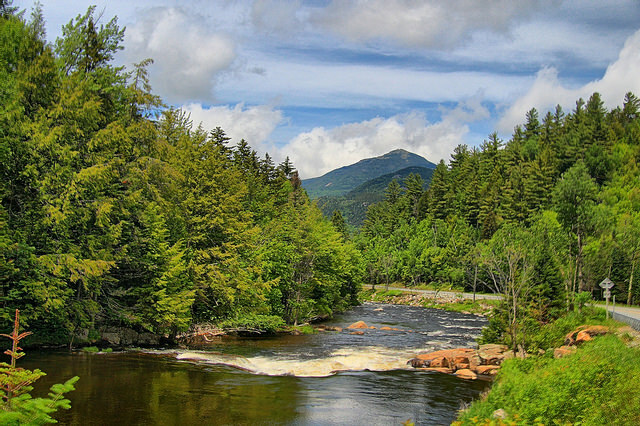 Yet another state park has given the go-ahead for hunters & trappers to invade our once-peaceful sanctuaries. Yes, Letchworth, “The Grand Canyon of the East”, attracting 650,000 visitors each year and voted “Best State Park” for 2015 in a USA Today Reader’s Poll becomes a killing ground for deer in the fall & turkey in the spring. On these rare, salubrious autumn days, do we wish to share the woodlands and forests with those aiming shotguns and crossbows at the wildlife we’ve come to appreciate? Especially on a Sunday? Years ago my nature-loving landlord and I were discussing camping in Allegany State Park. He advised me “Oh, the hunters took that over years ago”. Sure enough, on my visit there, the gift shop was stocked with pro-hunting and trapping bumper stickers and other trinkets. Deer, turkey, and small and big game (but not bear) hunting are permitted during their respective seasons. At least hunting is prohibited on Sunday (details). 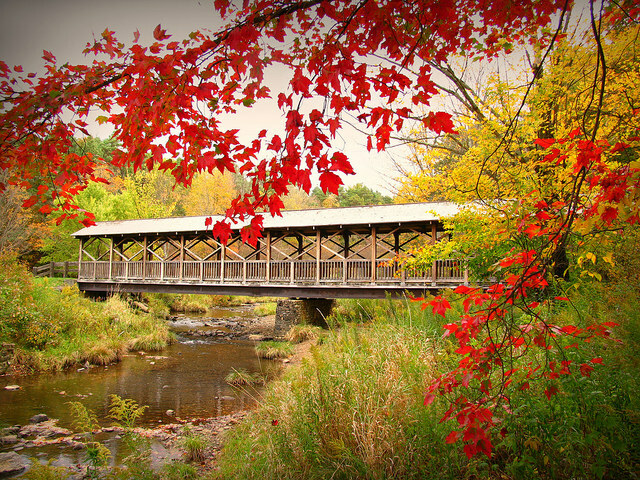 There are 48 state parks that allow deer hunting; among them are three in Tompkins County just outside of Ithaca: Buttermilk Falls, R.H. Treman, and Taughannock Falls, all by archery and crossbow only. In Chemung County bow-hunting for deer in Mark Twain State Park. Wonder what Mr. Clemens would have to say about that? There are deer and bear seasons in the Adirondacks for hunters utilizing bow, muzzleloader, and rifle. Coyote hunting “one of the fastest growing sports in the country” is promoted on the Visit Adirondack’s website. Hunting is permitted on all State lands. Trapping of raccoon, red fox, gray fox, skunk, coyote, opossum, and weasel is permitted throughout New York State, including state parks, generally from late October to late February. There are no “bag” limits for these species. Beaver season (except in Long Island) varies depending on the locality. 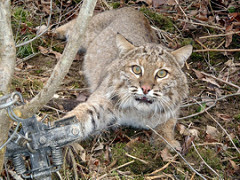 Bobcat trapping is allowed in the Southern zones plus Adirondacks and Catskill regions, season again depending on location. No “bag” limits. More trapping seasons here. Make sure you print out the locations for good hunting & trapping in NY. The next time a hunter friend tells you there are no good places to hunt anymore, you can tell him where to go.